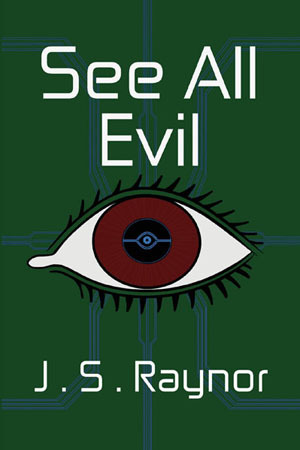 See All Evil is the latest book by J.S.Raynor. When British soldier, twenty-four-year-old Captain Alex McCloud is injured and blinded in Afghanistan during 2011, he is flown back to the U.K. for treatment at the Queen Elizabeth Hospital in Birmingham. After a painful, slow recovery, during which his fiancé, Helen, ends their engagement, he is feeling angry and thoroughly dejected, with no possible hope for the future. A small ray of hope seems possible when he is offered the chance of sight using bionic implants, developed by Professor Goldman of Moorfields Eye Hospital in London, in conjunction with Augmented Reality specialist, Major Jennifer Sherlock of the C.I.A. These implants not only provide him with sight, but much, much more than he could ever have imagined or expected, proving to be of great interest both to the M.O.D. and the C.I.A. His new life as an intelligence officer based in London brings him many challenges utilising his unique abilities, particularly when he uncovers a highly dangerous mafia-like organisation. Also by J.S.Raynor: A Chronicle of Intimacies | A Comfortable Death | The Gaudi Facade | Who wants to be British?